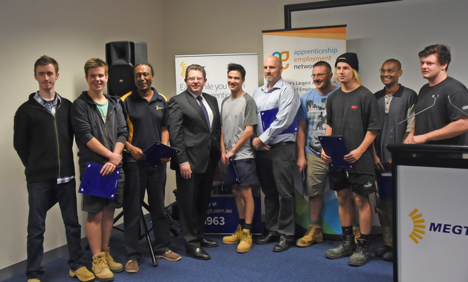 Earlier today Senator, the Honourable Scott Ryan, Minister of Vocational Education and Skills announced $6.8 million in Commonwealth funding for a new multi-industry school based and pre-apprenticeship pilot project for the Apprenticeship Employment Network at the MEGT Ringwood Trade Skills Centre. The Apprenticeship Employment Network is the peak industry body representing not for profit group training companies across Victoria and is part of a national network of group training associations. This project will see up to an additional 2000 young people supported over the next 2 years to trial a range of industry career pathways so they can make a better informed choice of which vocation they wish to pursue. Increased flexibility for secondary school students to make an informed choice on their apprenticeship pathway before commencing a national qualification/apprenticeship. Secondary schools will have additional local support for career advice and assistance for students looking to enter a vocational career pathway. The pilot project will have established ongoing curriculum for four new career pathway entry points for youth/ schools leading into existing traditional apprenticeship qualifications. The project will be established through metropolitan and regional group training organisations across Victoria, NSW and Tasmania. Chair of the Apprenticeship Employment Network Mr Dean Luciani said “Potential host employers will be able to use the project to better recruit and match potential apprentices/trainees through a series of short term work experience placements. The project will be supported by a local group training network that can assist parents, students and host employers”. Regional school communities will have greater viability with commencing this initial project as students with similar, not exact interests will be able to come together in the school/training environment and share their learnings between work placements. The project will consist of 4 main streams. The Group Training Association of Victoria was established 30 years ago, since that time our members have employed over 150,000 apprentices across a wide range of industry sectors. 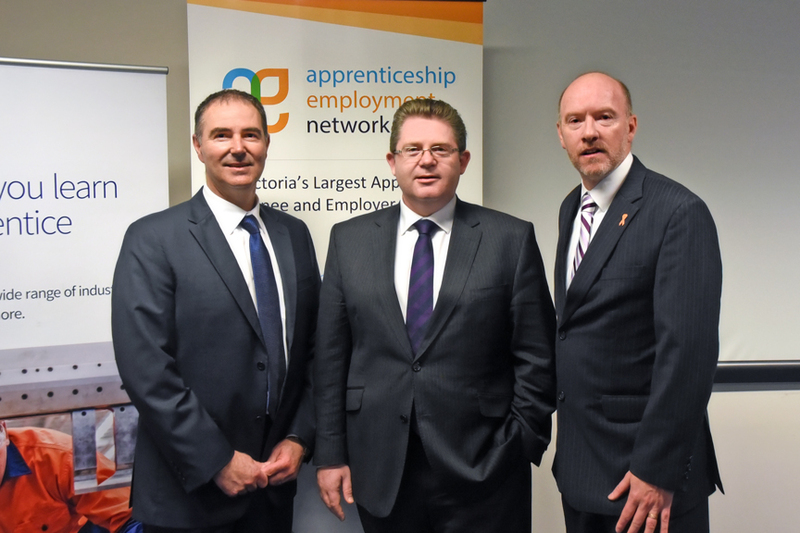 The Apprenticeship Employment Network is the new trading name for the Group Training Association of Victoria. Across Victoria, NSW and Tasmania group training organisations employ over 16,000 apprentices and trainees in a wide range of industries.